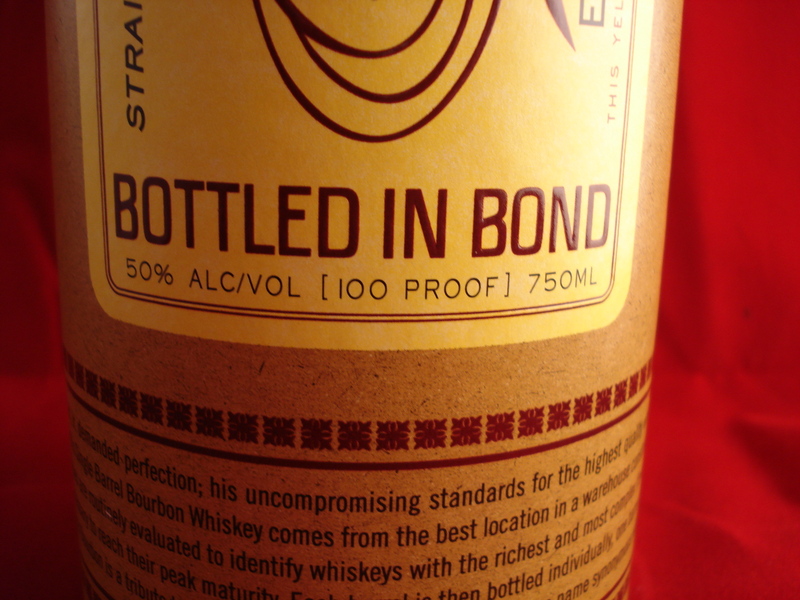 It's 100 proof, and bottled in bond, but it's just a touch one-dimensional. In February, we posted our first ever readers’ choice poll, and allowed you, the reader, to choose the next bourbon we reviewed. The results were overwhelming. 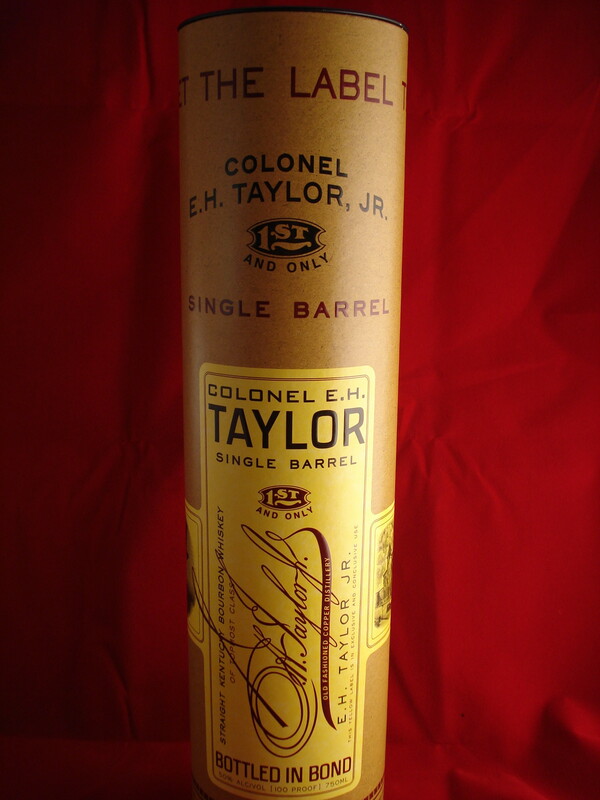 The Col. E. H. Taylor, Jr. Small Batch bourbon as the runaway winner, and the review was posted in due form. 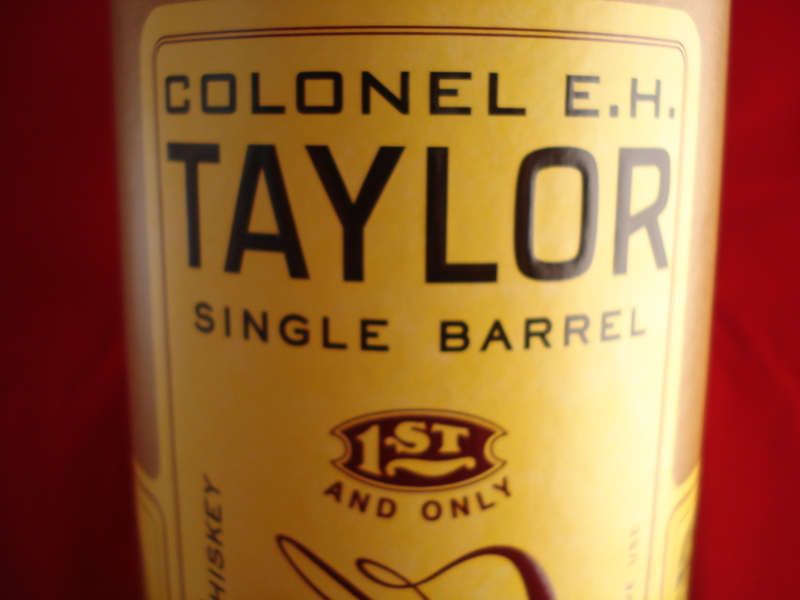 Today, we’re following up with another offering from the Buffalo Trace E. H. Taylor lineup: the Single Barrel. 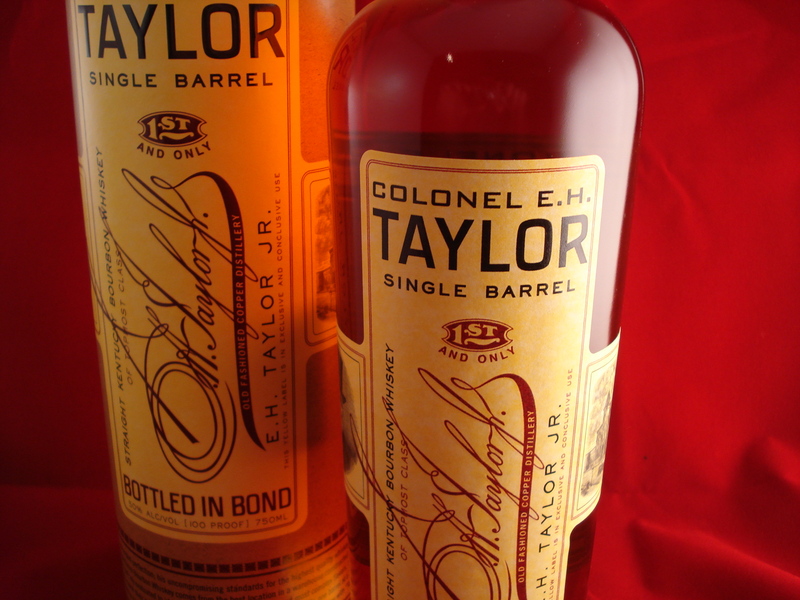 The Taylor line is produced by Buffalo Trace in Frankfort, KY, and is named for Colonel E. H. Taylor, Jr. Taylor owned the distillery in the mid to late 1800s, and is credited with revolutionizing bourbon production. His historic brick warehouse on the Buffalo Trace property pioneered climate-controlled aging, and is used today for the aging of the Taylor line. 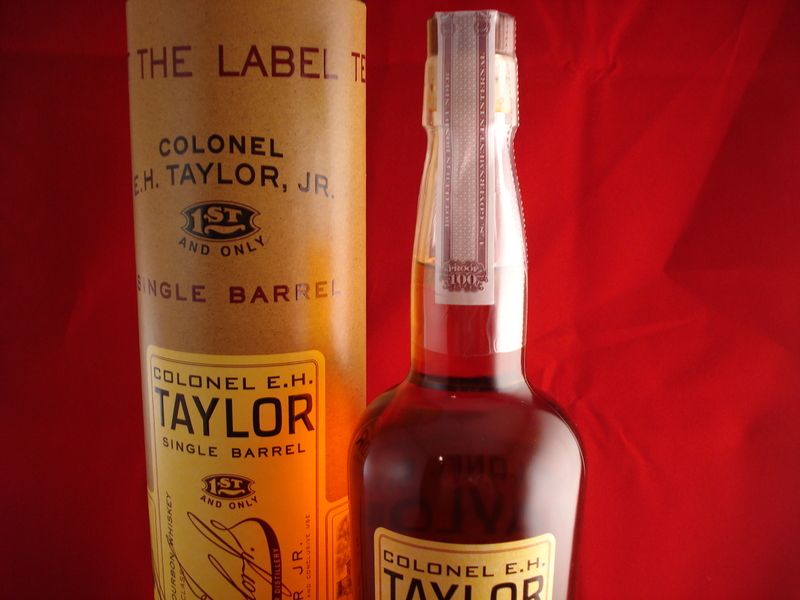 The single barrel offering is packaged much like the rest of the line, in tall, attractive bottles with yellow labels, packaged in a cylindrical hard canister that harkens back to the packaging methods of Col. Taylor himself over a century ago. While I applaud the nod to history, the container method of packaging doesn’t add much to a bottle’s attractiveness, as most will remove the bottle from the container when displaying it anyway. Nonetheless, it’s a very nice overall appearance. I do have a complaint, however. 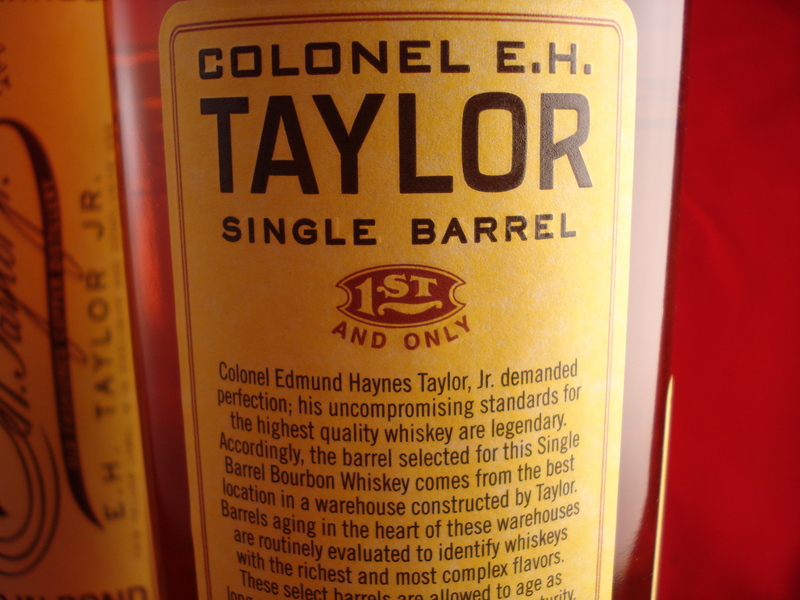 As a single barrel offering, I’d love for Buffalo Trace to denote the barrel number on the bottle itself. Very dark amber, tending towards brown. 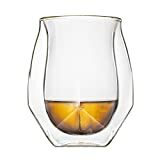 It’s fairly clear, since it has been at least somewhat filtered, but it appears to be much older than the seven years the distillery claims. Butterscotch and caramel corn greet the nose, followed by ripe bananas,with a heavy oak and dried wood on the tail end along with some peppery spice to singe the nose hairs. Corn sweetness on the tip of the tongue giving way to a pronounced peppery rye spice and dried cedar on the back of the tongue. There is a bit of strong alcohol tingle on the swallow along with a little bitterness. Not much going on here past the initial burst of flavor up front and the wood on the back of the tongue. It’s a somewhat hollow experience, with very little on the middle of the mouth. The bitterness continues throughout the finish, which is of medium length. There are strong notes of cinnamon in there as well, but the overall impression is somewhat dominated by alcohol burn. 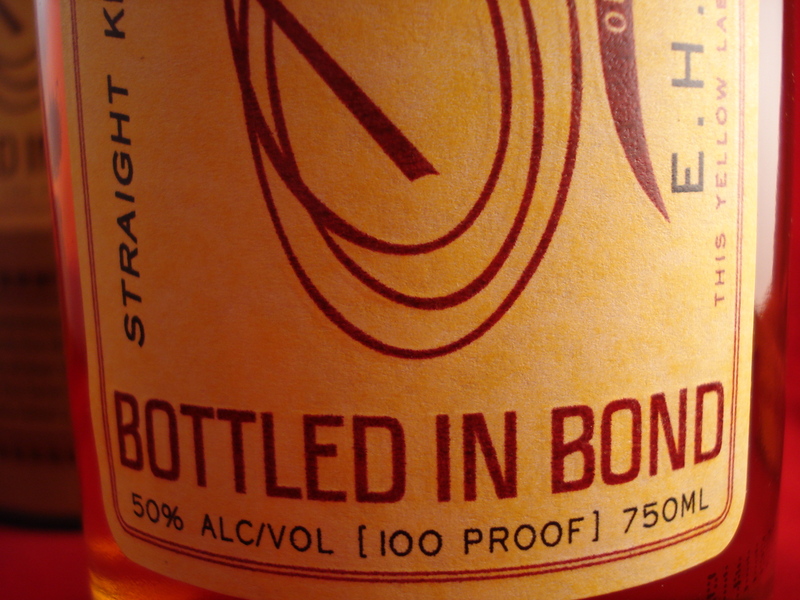 For some reason, this seems to drink much stronger than a 100 proof bourbon. I’m left with sort of mixed impressions on his bourbon. It’s certainly a decent drink, particularly if you like powerful, one-dimensional in-your-face bourbon spice. But it left me wanting just a little bit more. For one, it’s roughly twice the price of the small batch offering. 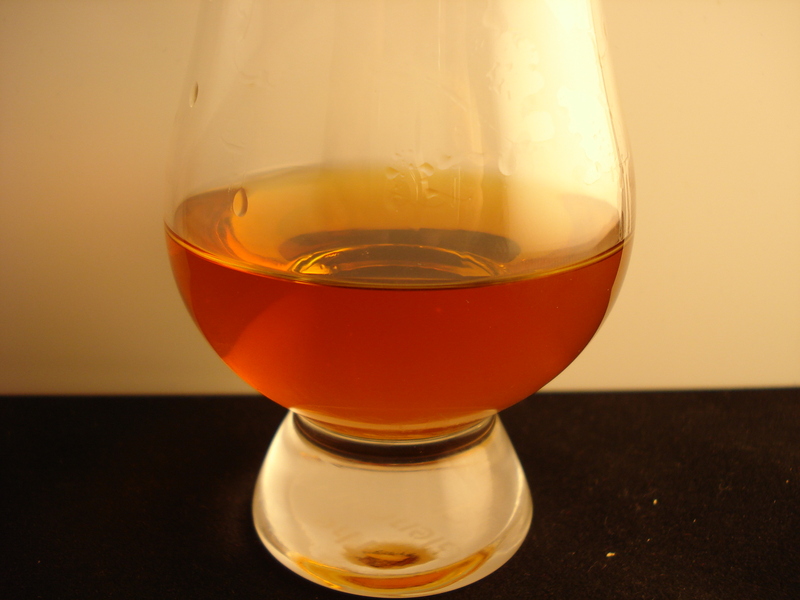 And while it’s different enough to distinguish itself from the small batch, I’m not completely sure it’s better. I suppose that technically, it shouldn’t be wildly different in taste, but have slight, subtle variations from bottle to bottle. 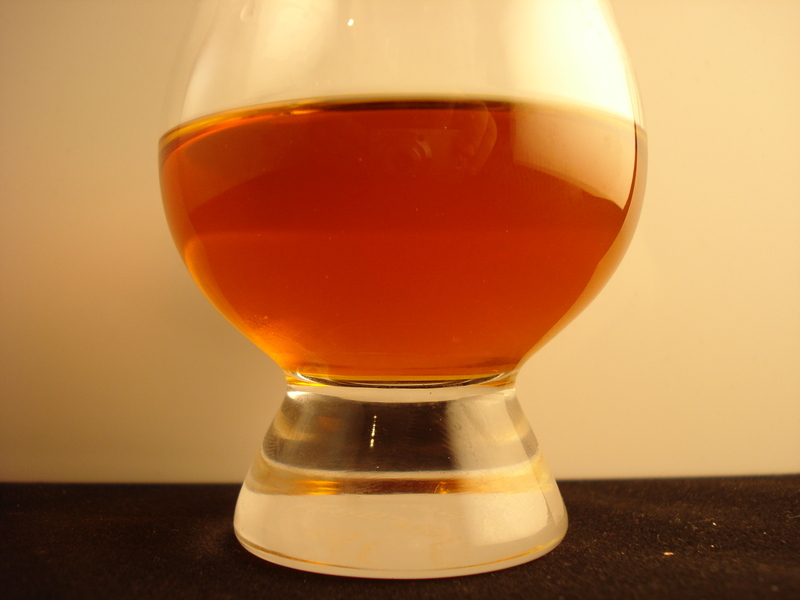 But there just isn’t enough roundness on this bourbon to really stand out. I think Buffalo Trace missed the mark a little on this. 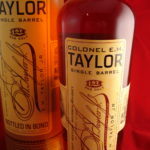 I know that over time, they plan to release more daring and experimental versions of bourbon under the E. H. Taylor label, but this particular bourbon would have slid very well into the Buffalo Trace lineup of Mash Bill #1 bourbons between Stagg/Stagg Jr. and Eagle Rare as a full, sweet, tongue-pleasing viscous 100 proof bourbon. Instead, it’s sort of feels incomplete. 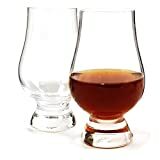 It’s 100 proof, and bottled in bond, but it’s just a touch on the one-dimensional side, and doesn’t get that fullness Buffalo Trace nails with both Eagle Rare and Stagg, and even does a great job getting into the much lower-priced standard Buffalo Trace. It’s good, on its own merits, but I’m not sure that it’s different enough from the small batch to justify the price. I’m going to give this a few days in the bottle to open up just a bit and I’ll follow up with any updates if warranted. Until then, I don’t rate this any higher or lower than the Small Batch offering. ModernThirst.com score: 88 out of 100. I think you are being entirety too generous with the rating. I’m going to revisit this in a few days after letting the bottle breathe for a while. 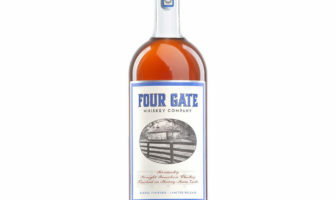 I dont think this is a BAD bourbon, but it’s definitely disappointing. There are some things I like about it, particularly the nose. But that emptiness on the middle of the tongue is just disappointing. I’m a little confused by this review. 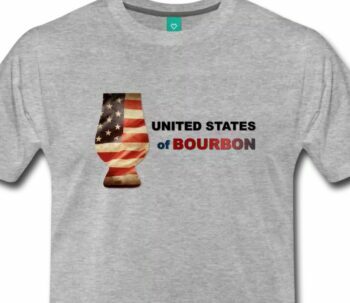 It mostly pans the bourbon, but then you give it an 88.